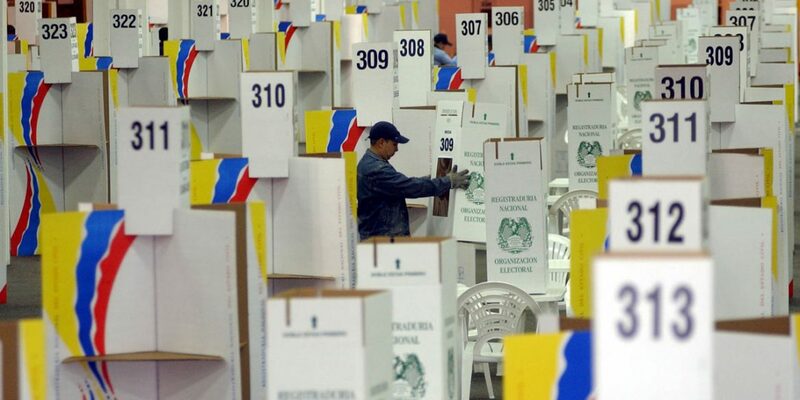 Colombia’s Prosecutor General’s Office is investigating at least 12 cases of alleged vote-buying during Sunday’s legislative elections, according to Blu Radio. The radio station reported that authorities are investigating the alleged vote-buying cases after a raid on a campaign office of a conservative senator-elect in the Caribbean city of Barranquilla. According to Blu Radio, the prosecution has evidence of vote-buying in other regions and hope to advance investigations before the elected officials can take office on July 20. Aida Merlano, the senator-elect whose sister was arrested in Barranquilla, is accused of paying roughly $14 (40,000 COP) for votes and an additional $1.75 (5,000 COP) for transport to voting stations. Firearms and a large sum of cash were found when police raided her campaign office. Five people were arrested and charged with election fraud. Vote-buying is a common form of election fraud in Colombia, which frequently goes unpunished. However, social media users have given the practice more exposure and has provided prosecutors with evidence. Authorities also told Blu Radio that a decision on the Liberal Party candidate Roberto Escruceria’s suspected vote buying will soon be made. A video shows alleged campaign workers buying votes. The liberal received a little more than 2,000 votes and was not elected. Colombia is actively trying to escape a cloud of fraud that has plagued the country’s elections for decades and is crippling its political system.